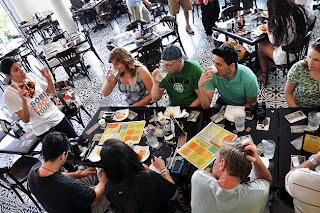 When it comes to eating and drinking at Miami best restaurants taking one of the Miami food tours offered by a small local company run by passionate foodies is a great choice to get to know the neighborhood through food. The company's most popular tour is the South Beach Food Tour, which takes foodies on a three hour walking tour of the Art Deco district while stopping at some of the best restaurants in Miami Beach. Not only is food served at the SOBE tour, but participants also get to learn the historical facts of Miami. Stops include a visit to a cigar factory where attendees can watch and learn how a Cuban cigar is made by the famous cigar roller named Jose, who has been rolling Cuban-style cigars for almost 30 years. The tour also includes various stops on Ocean drive, the most visited street on South Beach, and it teaches people about the stories behind the Versace mansion, the hotel Victor, the Essex House and the famous Congress hotel. Participants also get to learn the basics of Art Deco architectural while various stops to savor the local cuisine at off-the-beaten path small eateries and restaurants that even locals might not know. Drinks are served on the tour as well, and these are drinks that most people have never tried before such as Colombian refajo and Peruvian pisco sour. 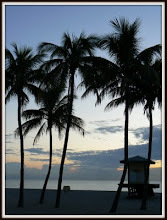 The South Beach Food Tour is a great attraction in Miami at a very reasonable price so that everyone can enjoy a taste of the South Florida life. Drinks and cigars are at best in Miami along with great food and crowd.